I may be riding solo this Valentine's Day but that doesn't mean I won't join in on the fashion festivities:). 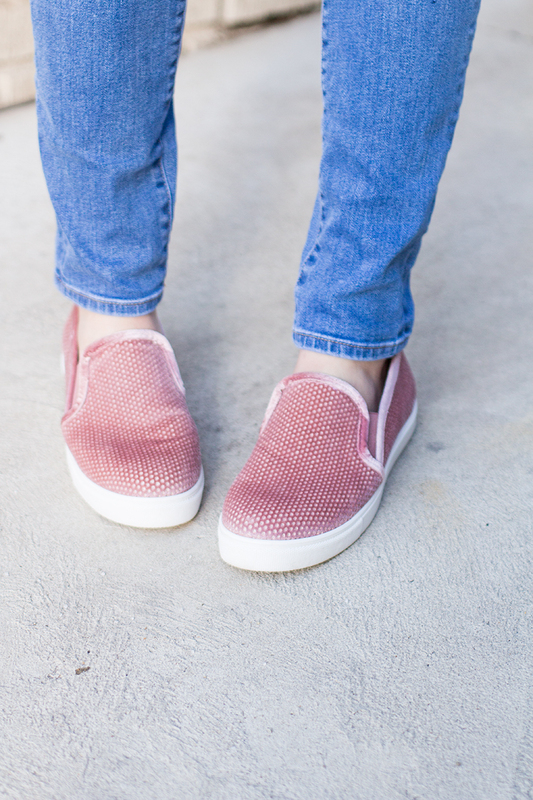 I'll admit, when I saw these Steve Madden pink velvet sneakers...I had some minor heart palpitations. I used to hate the color pink - now, it's one of the only colors I'm drawn to! This Valentine's day, one of my best gal pals and I plan to grab dinner and go see Fifty Shades Darker. 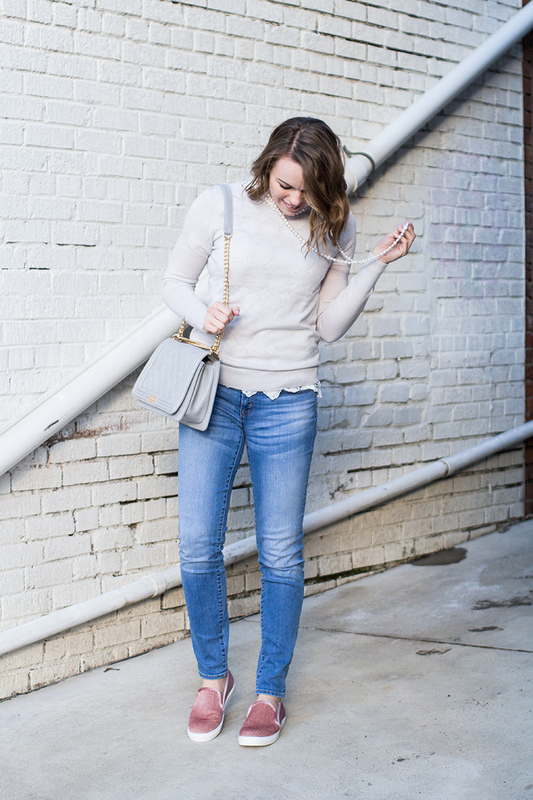 This outfit, although casual, is still ultra feminine with added lace and velvet - perfect for dinner and a movie! What are your Valentine's Day plans? Share below! 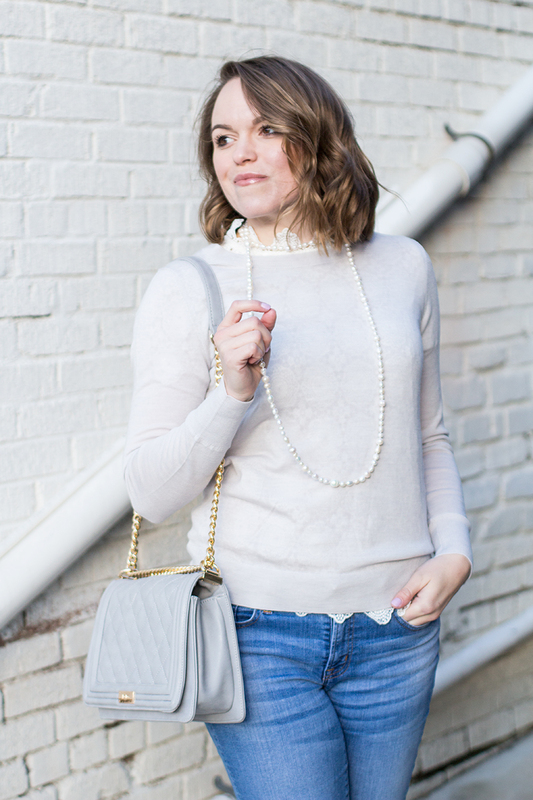 If you are in need of a wardrobe refresh - Banana is having amazing sales! 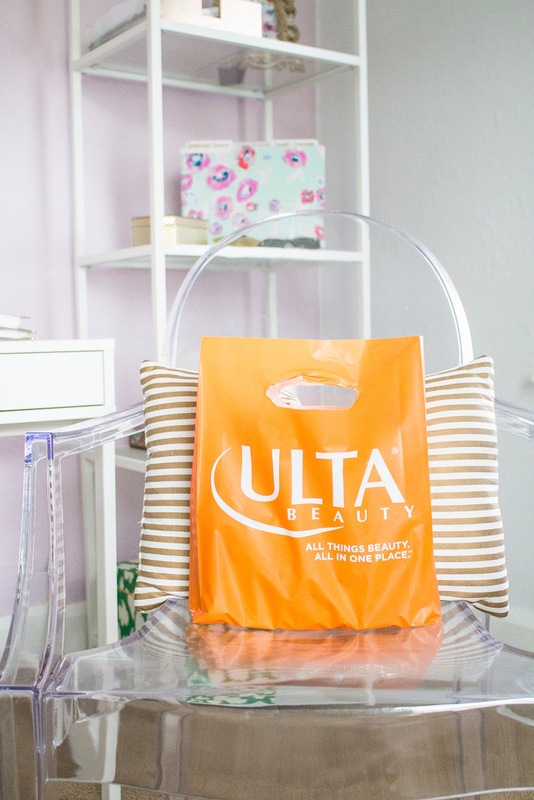 In stores, you get an additional 60% off clearance and 40% off all new items. 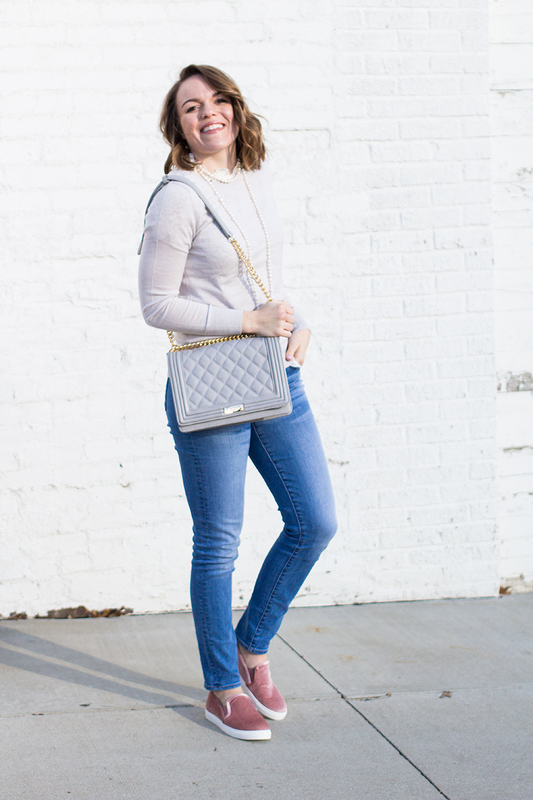 I purchased a couple of these sweaters - they are my favorite basics to have in the winter and transition well to spring.